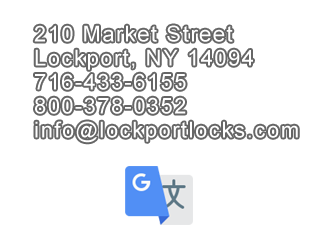 Visit Lockport Locks & Erie Canal Cruises! I-290 to I-990. I-990 to Route 263 (Millersport Hwy.) Left for 3 miles. Left on Route 78 North to Route 31 East (6 miles). Then follow directions above. I-190 North to Route 31 East to Lockport (about 19 miles). At Route 78 North & Route 31 East. Then follow directions above. NYS Thruway (I-90). Exit 48A Pembroke to route 77 North. Route 77 North to Route 31 West. Route 31 West to Market Street. turn RIGHT (northbound) onto Market Street. 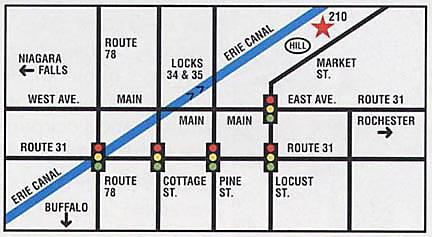 NYS Thruway (I-90) to Exit 49, Depew, to Route 78 North to Route 31 East. Go EAST on route 31 to 3 traffic lights past route 78. Turn LEFT (northbound) onto Locust/Market Street. Stay on Market Street across Main Street. 210 Market Street is on the LEFT at the base of the hill. Eastbound (left) onto Main Street for approximately 1/4 mile. Turn left onto Market Street. 210 Market Street is on the LEFT at the base of the hill.